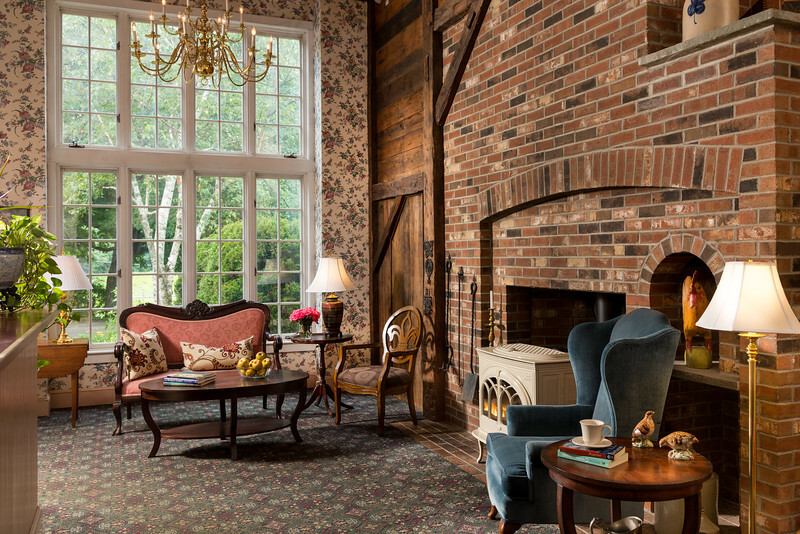 Chesterfield Inn is the perfect place to take a break and enjoy the country life still found in Chesterfield, New Hampshire. 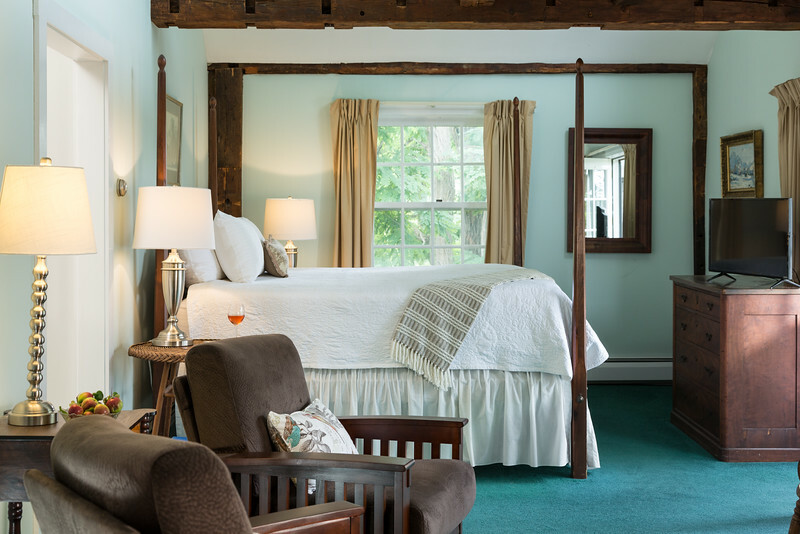 This New Hampshire Bed and Breakfast has been beautifully renovated to offer 15 comfortable guest rooms where your every need has been anticipated. 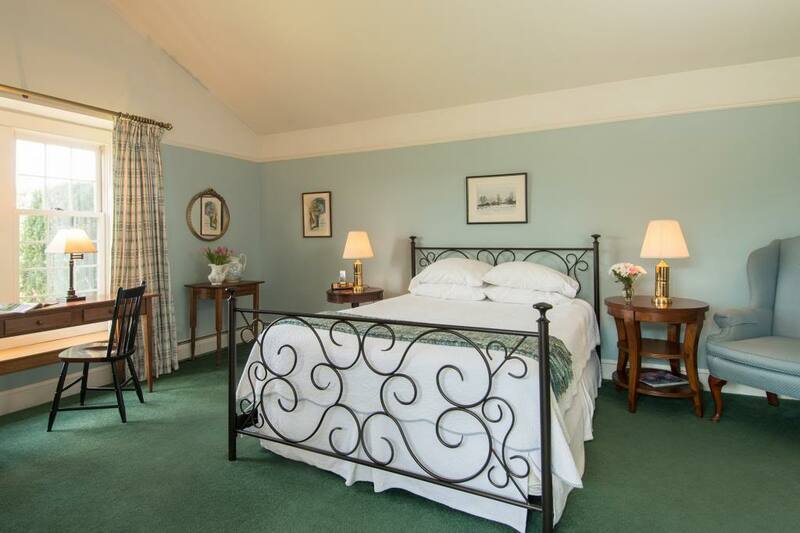 The elegant mixture of antiques and new furniture, fluffy towels, soft sheets, fireplaces and whirlpool tubs will make you wish you could stay another night. 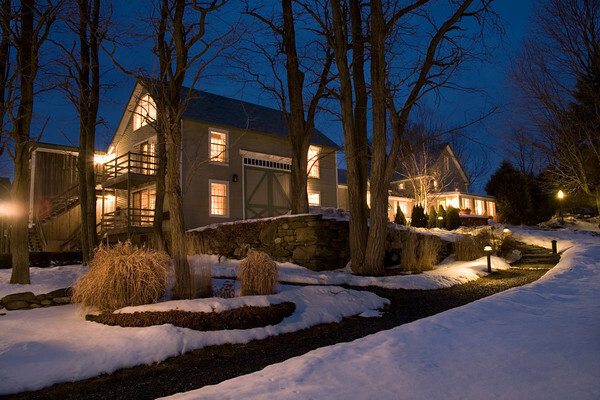 The ultimate romantic getaway in New Hampshire awaits. 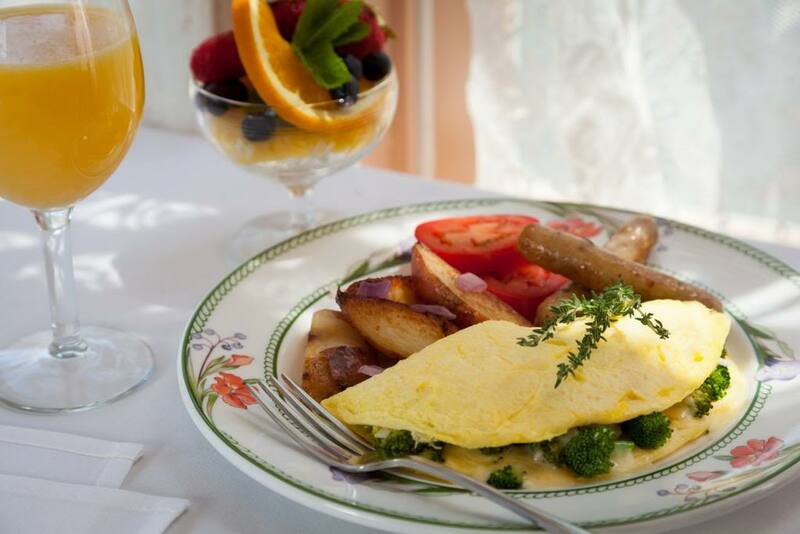 Full breakfast is included and features local fresh ingredients prepared from scratch. House made granola, French toast and pancakes with maple syrup made right here in Chesterfield, muffins just out of the oven, fresh fruit, and omelets are offered daily. We serve dinner nightly in our romantic candlelit dining room. The menu includes Rosemary Walnut Dijon encrusted Rack of Lamb or the Maple Crème Brulee. We use local ingredients and the menu changes with the season. 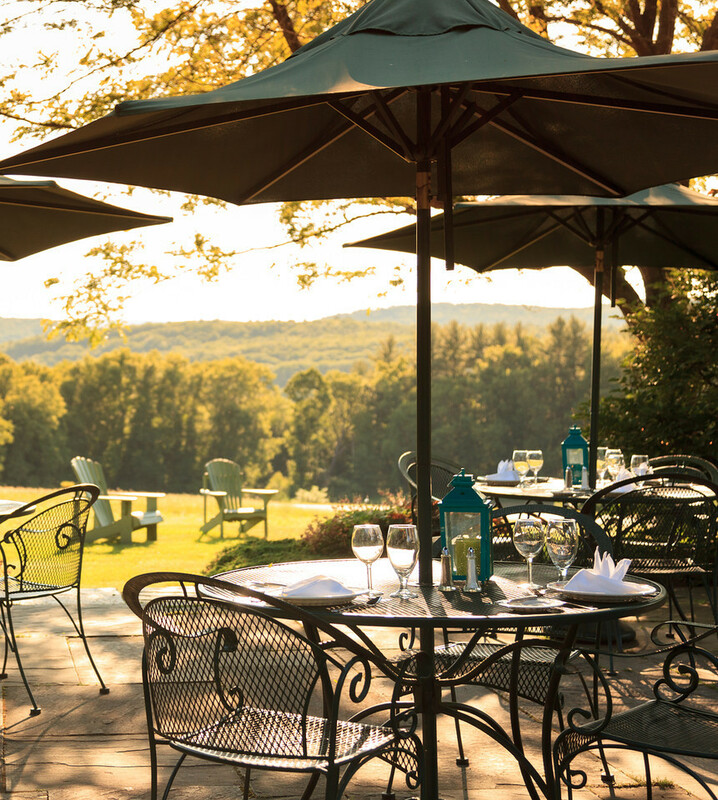 Enjoy the day exploring the surrounding New Hampshire countryside. Guests enjoy hiking, biking, shopping, cross country skiing, and antiquing to name a few, which are all close by. Guests can also spend the day relaxing on their private deck, reading, napping, or sitting in front of the fireplace. 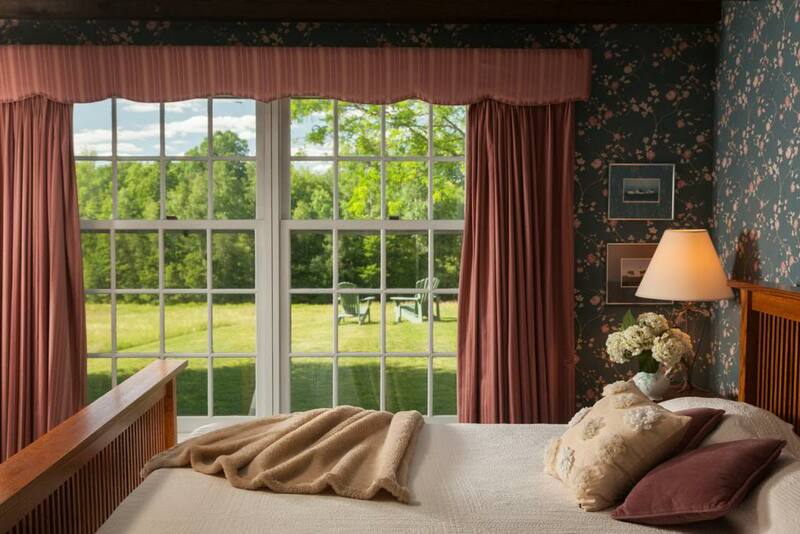 Pet friendly lodging is available in this New Hampshire inn. Guests can bring their furry friends along! There is nothing like a getaway to New Hampshire. Book Fall Before We’re Full! Escape to New Hampshire this fall & enjoy the best of New England’s fall foliage. 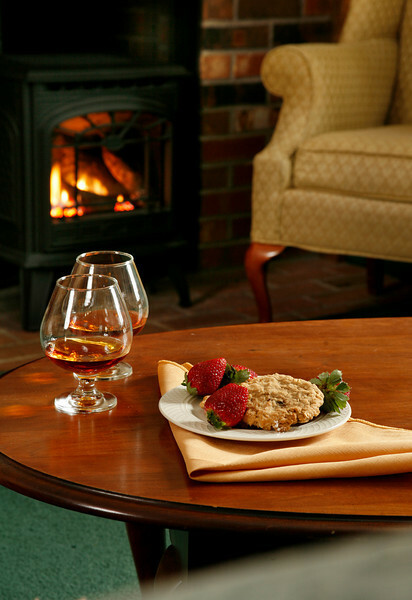 Enjoy cozy fires and hot seasonal refreshments at our romantic inn. We still have a few spots left for fall so book today before we’re full! 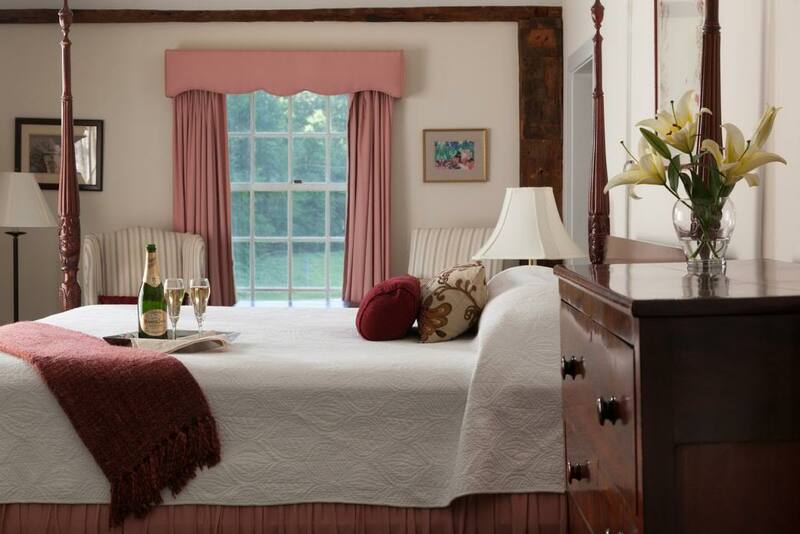 Sneak away to our romantic country inn nestled in a farmhouse in the Connecticut River Valley in West Chesterfield, New Hampshire. Here you can relax in the privacy of our comfortable guest rooms, whiling away the afternoon in front of your fireplace or enjoying a glass of champagne on the terrace, watching the sun set. Rekindle that spark with our Date Your Mate Package which includes one night’s stay in the room of your choice, a bottle of champagne on arrival, dinner for two, and breakfast in bed. Price: $145 (in addition to the cost of your room). 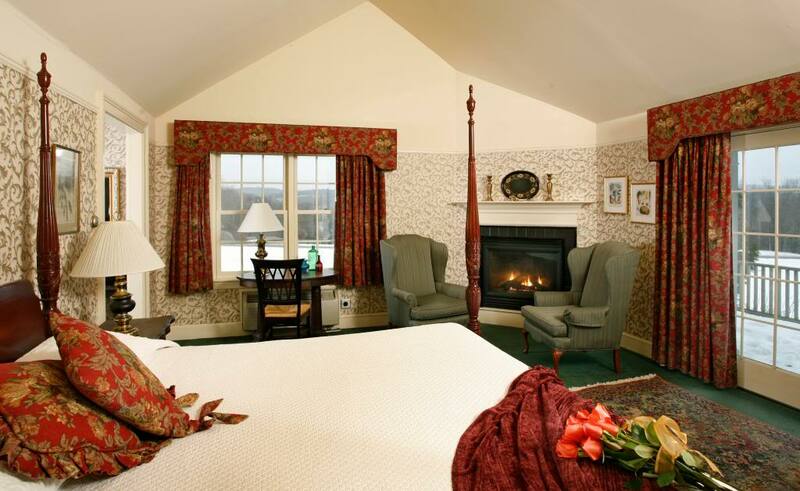 Come and rekindle your romance at our New Hampshire Luxury Inn! 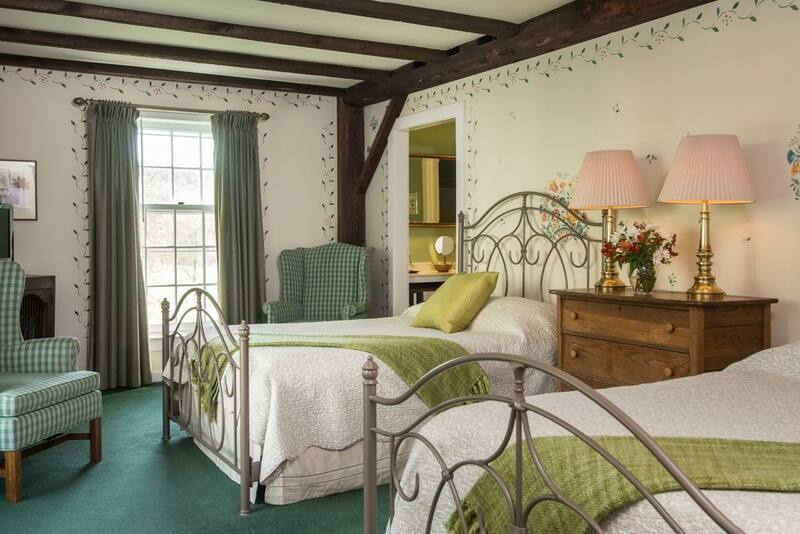 For cats or dogs traveling with humans – in any of the exterior rooms at our Pet Friendly New Hampshire Inn.